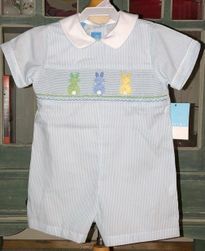 Love this smocked John John romper by Anavini! 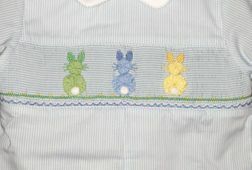 Perfect for Easter with the 3 ribbon hand embroidered bunnies, light blue, lime and yellow, in the smocking. The sweet Peter Pan collar is piped in the romper fabric.